The Establishment seeks to overthrow its namesake. Coming from digital media backgrounds, founders Kelley Calkins, Nikki Gloudeman and Katie Tandy wanted to create a new online space that mainstream media was not serving. 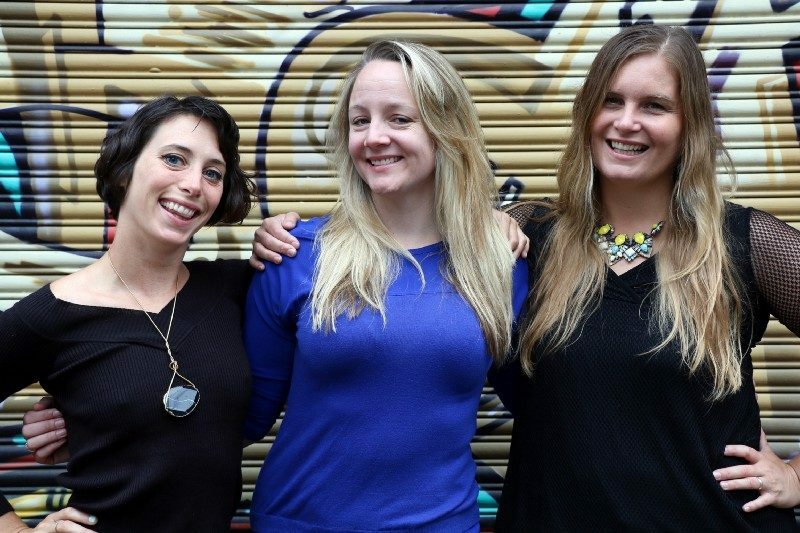 With over 1,100,000 views this January, these female founders are onto something successful. The Establishment was created by three co-editors fed up with the limits of their site. Working on the female-focused Ravishly, they enjoyed curating and editing for an enthusiastic audience. However, the choices were not entirely their own. “We were forced to acknowledge the limits of our editorial autonomy sans access to the company’s purse strings,” recalls Calkins. As they engaged with their writers and community, they saw a desire for more in-depth and diverse content for a female audience. Many female-focused websites didn’t stray from lifestyle or softer-content pieces. However, these founders believe that gender shouldn’t limit the topics investigated. Seeing a market gap, they made the leap to establish their own brand. Finding funding for a female-led digital media company can be challenging. The founders reached outside the traditional VC’s to a find their funding with Shauna Stark, a former Intel Executive. Stark is not a traditional VC investor and had never before invested in media. Yet, she was persuaded by their work at Ravishly, and remembers the challenges for women in Silicon Valley and the tech scene. This unique partnership became one of the largest angel investments in a female-led publication by a female VC with a $1 Million US seed investment. The media gap the founders eyed was that of female and marginalized voices. “All issues are women’s issues,” states Calkin. They were able to see a huge population underserved by the current media in addition with an important viewpoint to bring to existing reporting. The Women’s Media Center reported that in 2017 women were producing only 37.7% of byline and other content credit in traditional US media. With standard journalism business models floundering, the founders saw the opportunity to give underreported voices a platform and to build a new media model. The Establishment focuses on providing an online platform for all those voices unheard by mainstream media. Going against the grain in their content, they do the same in their structure. Using their seed money, they prioritized fair pay to their content creators. Unlike some media organizations, their pay structure is simple and transparent. They have also removed the Comments section. Often infamous for internet trolls rather than thoughtful debate, the founders chose to ditch the comments to create a safe space for their authors’ content. Their team has successfully solved the first hurdle of finding seed investment to launch their business and build their community. Two years in, they have established a series of revenue streams, which are also clear and transparent from their site. They have a basic membership fee, offering exclusive content to those loyal followers. For businesses, they offer a sponsorship model with a range of promotional opportunities, similar to standard advertising packages. They also offer a limited number of partnership spots (only five in total!). While this model mimics a traditional print daily model, it is shaped to better fit their audience and maintain their trust. In a noisy digital media landscape, trust and transparency are important assets. It will be fascinating to follow The Establishment‘s journey. They’ve recently been accepted into Matter’s intensive Design Thinking Accelerator, which should produce valuable results for their product. Similar the other female founders making their mark in media, Calkins, Gloudeman and Tandy have taken advantage of a market gap to create a new media company. Learn more about the female founders pioneering new media businesses in our New Media Mavens profile series.